Winter is almost over, and that means it is a great time to start new building projects for your garden and lawn. Adding an architectural LED lighting design to your garden is a fairly straightforward process that can drastically improve the aesthetics of the area without taking too much time. If you are looking to set up an architectural LED lighting design, you will be hard pressed to find a better company than Regal Lighting. Our team of talented designers has 11 years of experience serving the Toronto, Mississauga, Etobicoke, and the surrounding areas. We are a family-owned business who take pride in our care for the environment. All of our LEDs are chemical-free, do not emit heat, and take little power to run. If you are looking to make your garden more pleasing, please contact us today. We’d be happy to answer any questions that you may have. 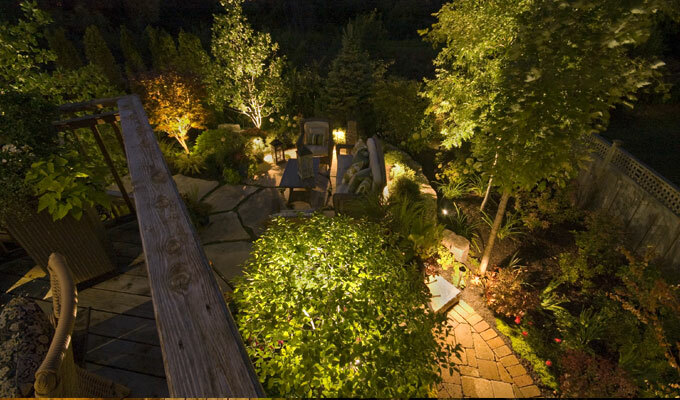 A garden architectural LED lighting design helps your garden be more aesthetically pleasing. It is important to understand the nuances of lighting before you attempt to set up such a design yourself. Getting the help of a professional is best. Regal Lighting offers an experienced professional service that helps you find the right lighting style and effects for your garden.